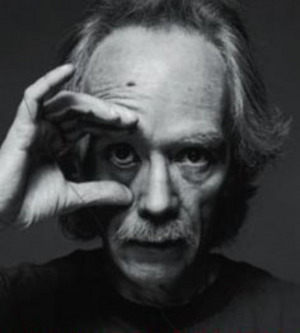 John Carpenter’s mostly know for his brand of horror flicks that includes Halloween, The thing and the fog. But he is also a gifted soundtrack composer as he did the score for Assault on precint 13, released in 1976. One of the film’s distinctive features is its score, composed and recorded by Carpenter. The combination of synthesizer hooks, electronic drones and drum machines sets it apart from many other scores of the period and creates a distinct style of minimalist electronic soundtrack with which Carpenter, and his films, would become associated. The score consists of two main themes: the main title theme, with its familiar synthesizer melody, and a slower contemplative theme used in the film’s more subdued scenes. The main theme was partially inspired by both Lalo Schifrin’s score to Dirty Harry and Led Zeppelin’s “Immigrant Song”. Besides these two themes the soundtrack also features a series of ominous drones and primal drum patterns which often represent the anonymous gang gathering in the shadows. Carpenter made roughly three to five separate pieces of music and edited them to the film as appropriate. That famous foreboding melody throughout the film transposed up quite a few octaves and perfectly blended with a nice moving bassline and 4/4 beat. The reverb on the snare drum is so huge, it fills in the gaps of the track whenever they are present. And to top it all off, some of the deepest, most beautiful synth choir voices ever committed to vinyl. The analog overtones on the End are quite simply breathtaking. Carpenter had several banks of synthesizers that would each have to be reset when another sound had to be created, taking a great deal of time. He was assisted by Dan Wyman in creating the musical score. The score was written in three days. Beyond its use in the film, the score is often cited as an influence on various electronic and hip hop artists with its main title theme being sampled by artists including Afrika Bambaataa and Tricky. “The End” is a dark, moody and mysterious electronic arrangement around 125 BPM, and even though I have not seen the film, just by looking at the cover and listening to the track, I can already sense a slightly dark and depressed tone. “The End” is still played today by all the top electronic DJ’s such as Laurent Garnier, Carl Craig, Juan Atkins and DJ Hell. Its now 35 years old.